This is the second notebook in a series. If you haven't completed the data wrangling exercise, you'll want to start there as this won't make sense otherwise. 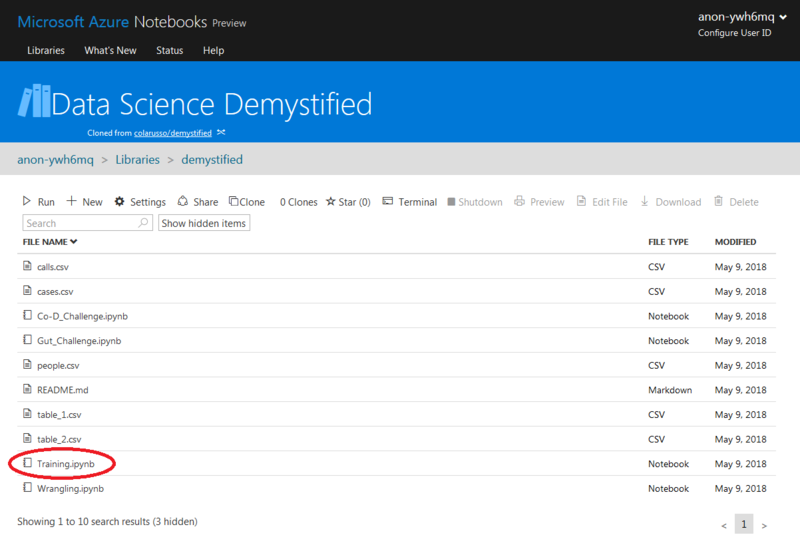 Open your copy of the Azure Notebooks library we cloned earlier. Find the file named Training.ipynb and click it to open the notebook. Then work through the code.